Anybody out there in the mood for a lazy, relaxed Wandering this evening? This time of year can be such a stressful time for you schooling folk, and sometimes nothing can help more than sitting back with a hot beverage and a nice, easy album. This week I have one that has been strangely flying just below the conscious line in my brain, coming from a little Montreal folk band led by Antoine Martel (which is also the name of their band at the moment, but soon they will be operating under the moniker of The Arborists). I was introduced to the band at some point last year, when my local favourites The This Many Boyfriends Club were playing a benefit show at Casa Del Popollo. Antoine Martel was the first band to play that night. I spoke to Antoine briefly after his set, and he informed me that they would be releasing an album, so I kept an eye on the band until the album came out, but I downloaded the thing without ever listening to it. That was until last week, when I realized that thing had been sitting in my library for far too long. It should be noted that Antoine seemed like a really genuinely friendly guy, so it’s not entirely surprising that he went and made a genuinely friendly album. The song/video “4 of 5” really aptly sums up this band for me, so let’s give that a listen. When I saw these guys live last year I couldn’t help but be immediately impressed. When I head out to a tiny venue to see a handful of university bands play half-hour sets, I usually expect some great music, some amazing energy, and some lo-fi goodness, but Antoine Martel took to the stage with patience and an incredible amount of depth. Their mix was absolutely stunning for a large band with such a diverse range of acoustic instruments, and these guys were clearly keyed in to each other. I was treated to a completely unexpected and pleasantly peaceful start to my evening. Antoine stood front and centre with intricate guitar lines and a soothing and powerful voice. Behind him was an array of drums, backup vocalists, various string players, and a stand-out flute player. As a flute player myself, I was completely captured by her tone and creativity. From her first notes on that flute I was an Antoine Martel fan. The fact that I enjoyed the show so much makes it puzzling that it took me so long to get around to listening to Coughdrops in Autumn, the band’s debut record. The focus of the album is quite clearly Martel’s guitar and voice, and justifiably so, with a full range of supporting instruments that show up at precise moments. The effect of this diverse range of sparsely used instruments is that the album gives the listener a constant taste of changing musical texture. On the other hand, Dave wants more flute. Much more flute. I mean come on, that solo at the end of “4 of 5” is just gorgeous. But let’s give credit to more than just a tiny woodwind instrument, every musician that plays on this album shows some pretty tremendous talent without being even remotely showy. Coughdrops in Autumn is true to its name. As things get colder these soothing songs feel like a warm blanket and a lozenge (I wanted to say hot chocolate, but the name of the album is not Hot Beverages in Autumn, overall it’s the same sentiment I think). 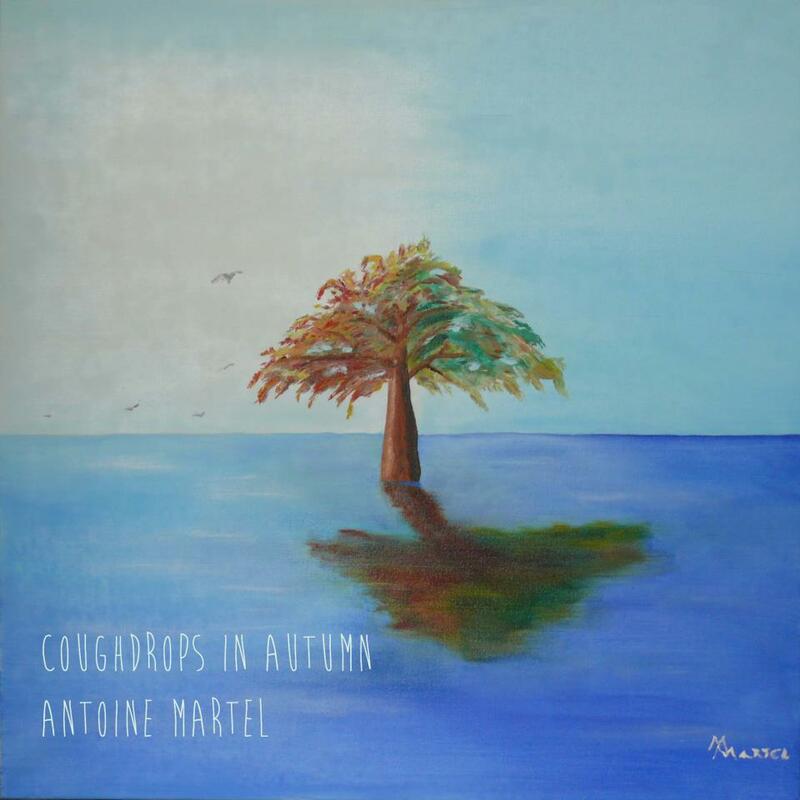 Check out this record, and keep an eye on Antoine Martel/The Arborists. I have been lead to believe that there’s some new tunes in the works. You can find their music on their bandcamp page, where you can PAY WHATEVER YOU WANT to get Coughdrops in Autumn. If you are living in Montreal these days, check out one of their shows for a peaceful and beautiful show.